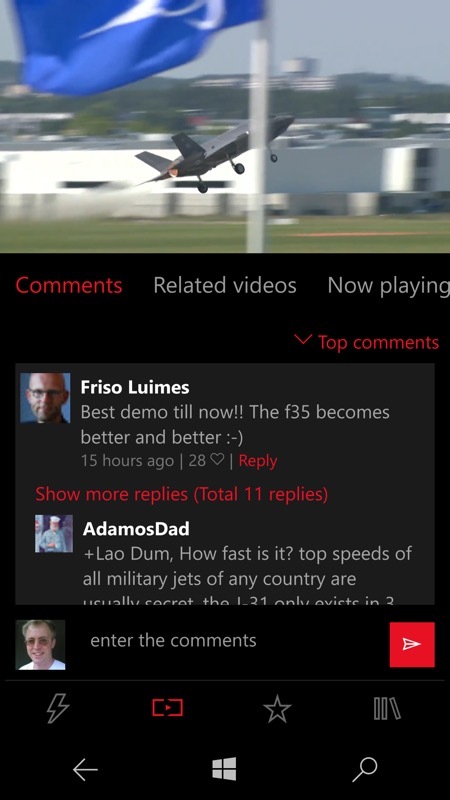 I certainly didn't expect to discover another top notch YouTube client for Windows 10 Mobile so soon after the myTube! revamps. Yet here's Awecome Tube, rather cutely sub-titled 'YouTube to your heart' - and it's possibly the best of the bunch. Credit to Google for making YouTube's APIs so open, and full credit to developer Chococode here for an amazing application. 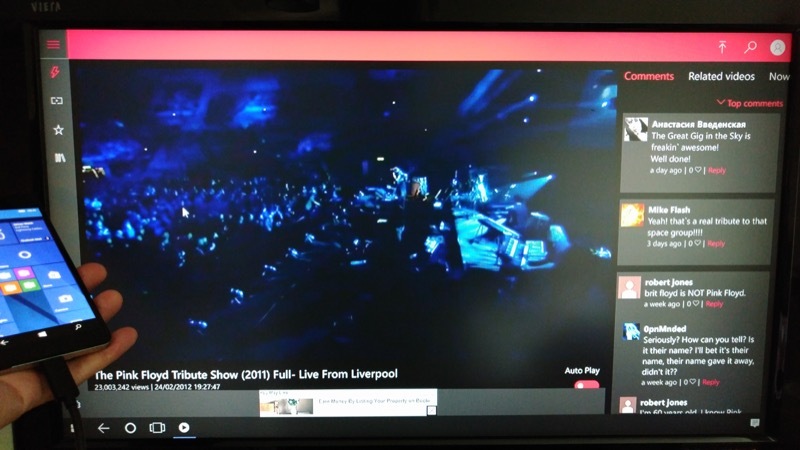 Of course, if Google made a first party YouTube client for Windows 10 then we wouldn't need to look at third party clients, but that's another rant for another day. In the meantime, we're not short of choice - and none of the options will break the bank. In this case Awesome Tube is ad-supported, but with a £1.29 (in the UK) in-app-purchase to remove the ads and this effectively becomes the application's price. I paid this trivial amount to zap the ads and get the whole UI for videos - and you will too. 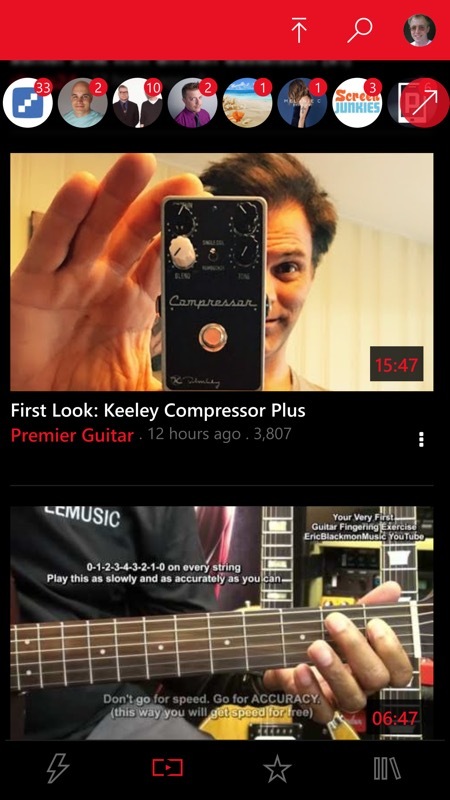 Note the four tabs at the bottom in portrait mode; (right) nice attention to detail in bringing up my own channel details, complete with graphics - note also the 'upload' control at the top - this really is an all-purpose YouTube client that rivals Google's own on other platforms. 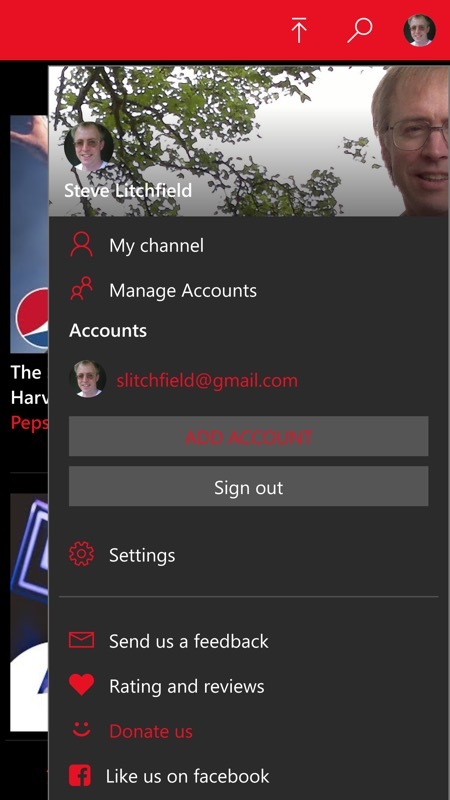 Let's be clear, mind you - a YouTube client is a very well known quantity these days and the basics are similar to those of other good clients - including the Google first party one on iOS and Android. 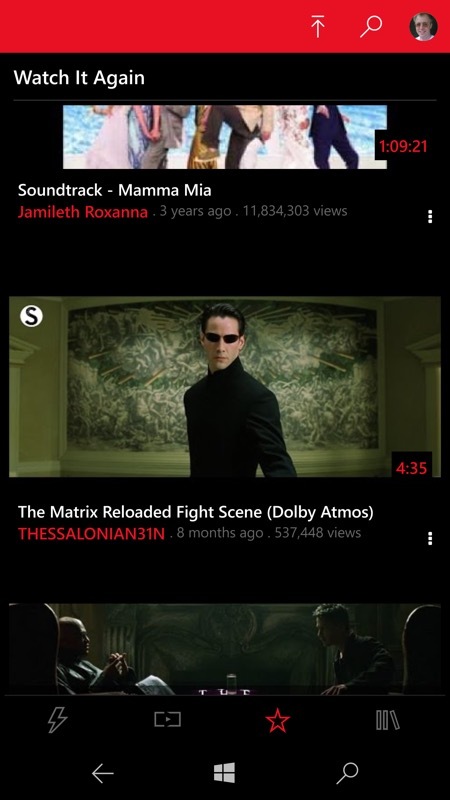 You search for a video, perhaps, tap on it to start it playing in portrait mode and then rotate the phone to switch to landscape - and full-screen. 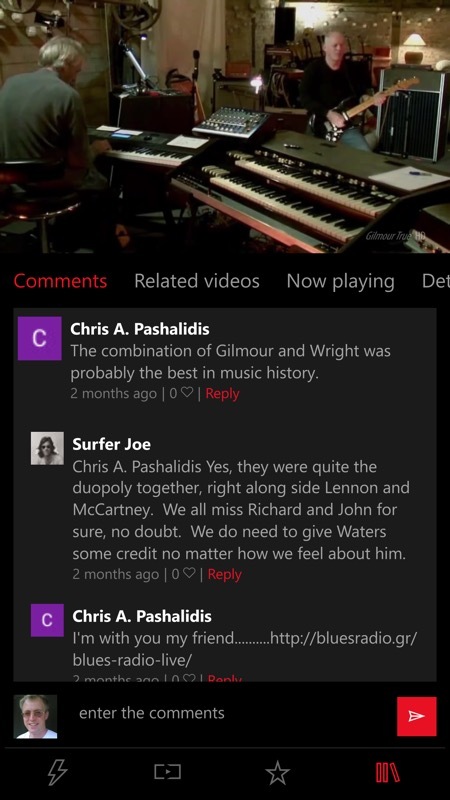 All of which is what happens here, though with some very nice touches - while playing in portrait mode, you can swipe between 'comments', 'related videos' and 'now playing', accordiing to what you want to refer to while getting the video going. 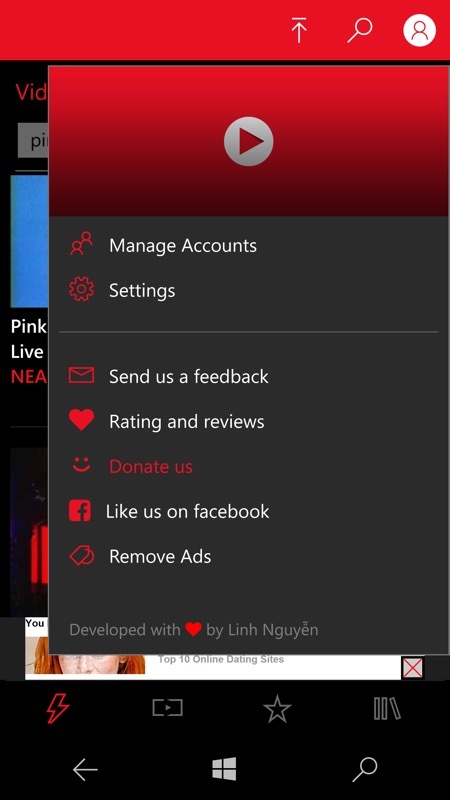 Then there's the option to keep the video going in 'audio' form only (implemented as just another resolution option), the idea being that you can then switch away from Awesome Tube altogether and the soundtrack (usually a music video, in this use case) keeps on playing, controlled using the standard Windows Phone/Windows 10 Mobile media controls. If you choose to go back in the interface while playing a YouTube video, the current clip minimises to a thimbnail view, still playing, while you use the full app interface to look something else up - and tapping on the thumbnail (of course) restores the full view. All seamless on my test devices. Within the subscriptions view, a nice touch is a floating bar of channel icons, for quick access to that particular channel. And if you have many more then the half dozen shown (as I do) then tapping the arrow control takes you to a full and much more detailed list. The Library section is where you'll find your standard YouTube video watching history (all presented from your Google account, of course), your 'liked' videos, 'watch later' items and any playlists that you've created over the years. It's all very comprehensive. In fact you even get a YouTube 'downloader' built-in, front and centre, and you can find these sand-boxed under 'Saved videos', again in the Library. Since downloading YouTube videos is very much frowned upon by Google, I wouldn't expect this feature to be here long-term - though I guess there are enough other ways to grab MP4s from YouTue these days that Google has given up sending its lawyers round all the various developers? All of this is fully available to all, and development is financed by banner ads, not shown in the app screenshots above because I'd paid the quid or so to get rid of them, but you can see a token banner in the Continuum shot below. 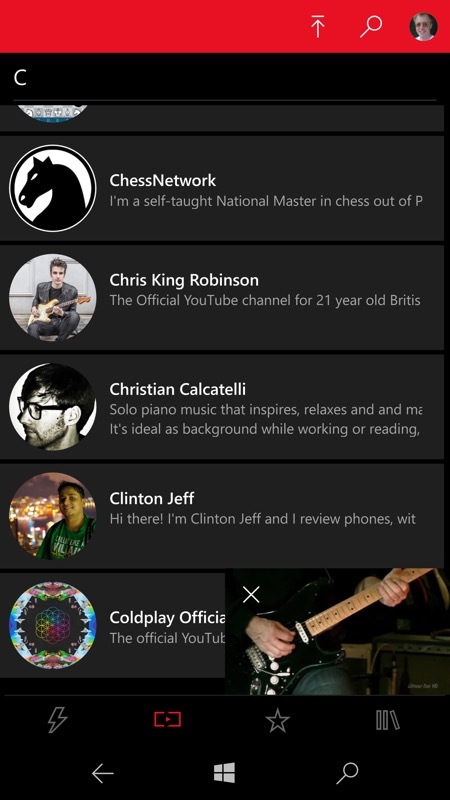 Also of note in Awesome Tube in this UWP form is that the interface transforms very cleverly - from portrait to landscape in the phone views, to the landscape 1080p secondary display view below - the profile menu from the phone portrait view becomes a hamburger menu when in landscape or, as below, when using a Continuum screen. 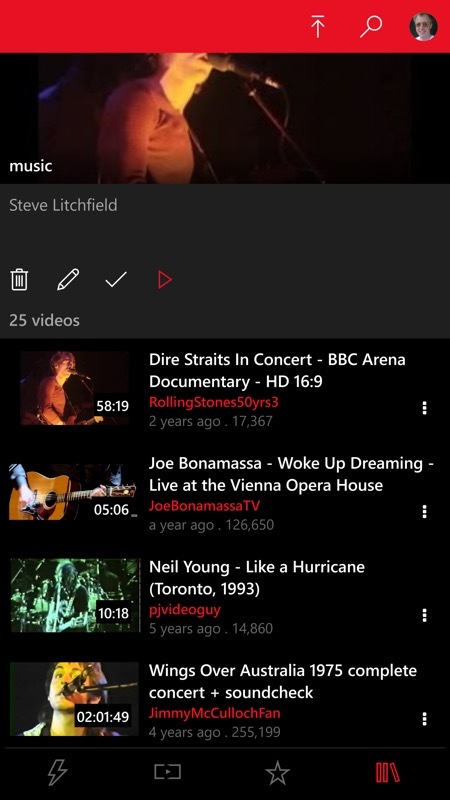 Add it all together and you have what is currently the best YouTube experience on Windows 10 Mobile at the moment, and a cracking example of what a developer can do with a Windows 10 UWP app.